Wildlife forensics is the application of forensic science to the conservation and protection of non-domesticated animals, both in the wild and in captivity. Providing an in-depth introduction to this rapidly evolving field, Wildlife Forensic Investigation: Principles and Practice also chronicles aspects of the history of management, conservation, and environmental protection, with an emphasis on their global importance in the twenty-first century. The book examines the crucial role of wildlife forensic investigation with regard to live animals, dead animals and samples and covers national, regional, and international legislation. While the text particularly focuses on forensic science as it relates to wild animals, it also includes mention of plants and habitats because of their relevance to conservation. The book discusses animal welfare as well as the damage that can be inflicted on humans and property by wildlife. Offering access to sound evidence based on good science and obtained using the best available practices, the book is enhanced by case studies from experts who describe some of their own work. This resource is essential for those involved in a range of endeavours, including investigating wildlife crime, identifying animal remains, ascertaining the circumstances of death of wild species, and other legal proceedings and activities concerning wildlife. 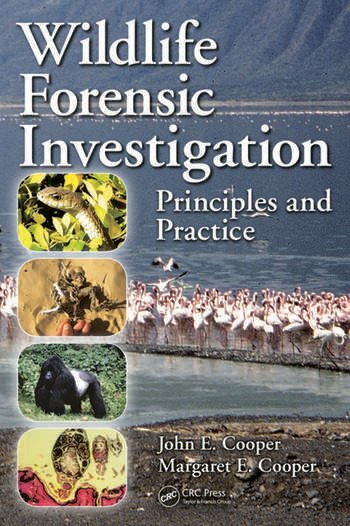 The forensic skills described in this book can be applied to a wide range of activities (not necessarily involving the legal process), including environmental impact assessments, insurance claims, governmental and other enquiries, checking of trading standards and the inspection of (for instance) pet-shops, animal boarding establishments, and zoological collections. The authors point out that one of the most important requirements of those persons involved in wildlife forensic work is to retain an open mind. Such personnel should also be conscious of new developments and evolving techniques and be able to anticipate situations where their investigative and scientific skills might be used to advantage—so-called "horizon scanning". Examples of these are given. John and Margaret Cooper are a husband and wife team from the United Kingdom. John E. Cooper trained as a veterinary surgeon and is now a specialist pathologist with particular interests in wildlife and exotic species, tropical diseases and comparative medicine. He has served widely as a consultant expert witness and teaches pathology and wildlife health at different levels. Margaret E. Cooper is a lawyer who trained originally as a British solicitor and has made the study of animal and conservation law her special interest. The Coopers have travelled widely and lectured together in many countries. They have spent nearly ten years living in Africa, including a period in Rwanda working with mountain gorillas. They continue to combine their medical and legal backgrounds in the promotion of an interdisciplinary approach to veterinary and biological education, wildlife conservation, and forensic science. "This is very much a hands-on text based on many decades of experiences, and should be available to anyone faced with issues of crimes against or involving animals." "The Coopers’ background in veterinary medicine, animal care, international law, and developing countries combined with their knowledge of biology and natural history result in a powerful approach to compiling evidence to fight wildlife crime and related misdeeds. Their interdisciplinary and unique perspective on wildlife forensic investigation is what makes this book essential reading for those who are dedicated to righting the wrongs done to our natural world. " " … provides a comprehensive and authoritative text on this multidisciplinary and increasingly important subject. The text references UK and EU law throughout, but draws on wildlife crime experiences throughout the world from the huge international experience of its authors. The book is nicely illustrated, including some colour plates … . As well as extensive clinical and pathological information, the book benefits from its use of case examples, provision of example case forms and other useful supporting material. Veterinarians, biologists, ecologists and those involved in wildlife law, will find this book interesting and essential reading." "The content and scope are greatly enhanced by case studies from experts in diverse parts of the world. … The text has a practical ‘hands-on’ approach and is written by people who have experience working in the field, not just in the laboratory." 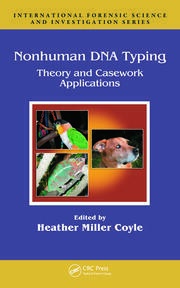 " … the practices and procedures described could easily be extrapolated to domestic animal case-work. … a valuable reference for those desirous of providing competent aid." 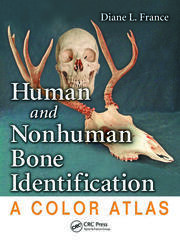 "The color photographs really add to the attractiveness of the volume, both in its appearance and understanding better the topics under discussion, and may be one of the most useful aspects of the volume … a comprehensive presentation of the whole field of forensic wildlife investigation techniques (it) will serve well as an introductory text for the field." " … offers the reader a unique perspective on the expanding collection of wildlife forensic books on the market today. 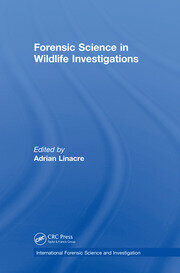 … would be an excellent addition to any practitioner’s library for them to better understand wildlife forensic science. … also would serve as an excellent lower level undergraduate course textbook (albeit regionally focused on terrestrial vertebrates in Africa), especially considering the void of such reference and educational materials." "The book is fascinating, enlivened by the Coopers' experiences obtained through their travels. They have worked extensively overseas, living in Africa for over a decade (including Rwanda during the genocide), as well as being based in the Caribbean, the Arabian desert and Europe. This brings a depth of understanding, perspective and realism to the book." "Their unique flair is unmistakable, with ingenious tips aplenty … . Covering the scope of wildlife forensic investigation from legislation to courtroom, it serves as a useful reference for students and experienced practitioners alike." "Between them, the principal authors have many years’ experience in veterinary medicine and international law, but also a strong inter-disciplinary approach. This is reflected in the list of 26 additional contributors that come from a wide-range of disciplines. ... for a large number of researchers who might encounter wildlife crime, but especially government departments and investigators working in the field, this volume would be an important addition to their resources."